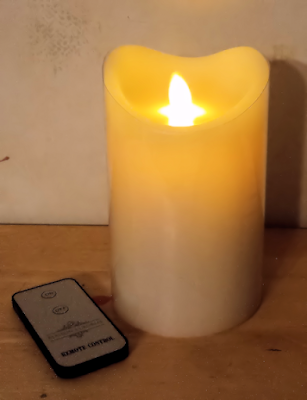 I totally volunteered to review this Ambilux LED Candle with moving wick by Maison Luxuries, since I can't have real candles in my apartment, and I am really glad that I did. Don't get me wrong, my landlords don't ban candles, but there are super sensitive smoke detectors, plus I also have a super fluffy cat who must have moth DNA because he is strangely drawn to naked flames. Highly flammable felines and candles do not mix well. 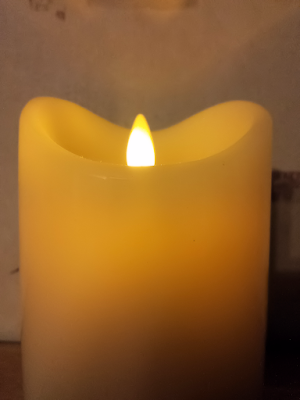 The benefits to having a fake candle are No Heat, No Smoke, No Hot Wax and No Safety Concerns. I have used led candles before and the light just flickers back and forth in a repeating pattern with very little sense of realism. 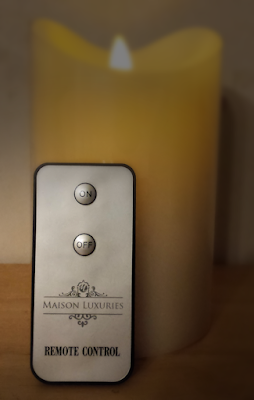 The Maison Luxuries Ambilux candle has a reflective 'wick' which dances around with the appearance of a real candle flame. The other nice aspect of realism is the candle body is actually made of wax, so at first glance the candle looks very real. While sitting on a mantelpiece or coffee table flickering away in peripheral vision, you would never know that this candle was not the real deal. The only con I have discovered so far is that this candle takes 2 D batteries. Who has D batteries just laying around doing nothing? I could put my hands on AA and AAA batteries within 17 seconds, but I had to run out to the gas station to buy a pair of D's. If this candle would run off AA batteries or was rechargeable then it would have definitely got 5 stars. 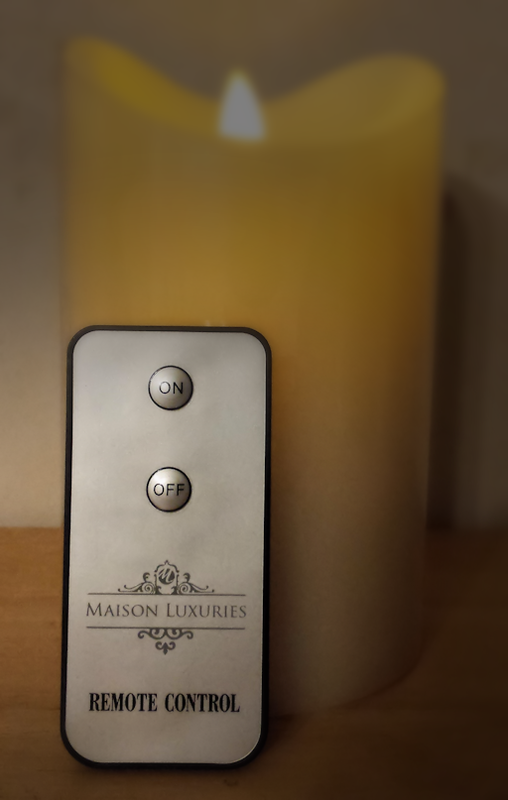 On the bright side (pun totally intended) the manufacturer claims a 600 hour battery life and in order to maximise your enjoyment of those 600 hours, the candle shuts itself off after 5 hours in case you fall asleep or forget. The other cool feature is the remote control which allows you to turn the candle on and off without having to disturb the cat sleeping in your lap. Overall this is a very well made product. There is a focus on realism with the moving wick and the wax body, which makes this candle look better than many other LED candles out there. When you decide to get one, make sure you order some D batteries to go with it, unless you are the exception and have some laying around the house. Disclosure: I received this for free in exchange for the honest and unbiased review above.